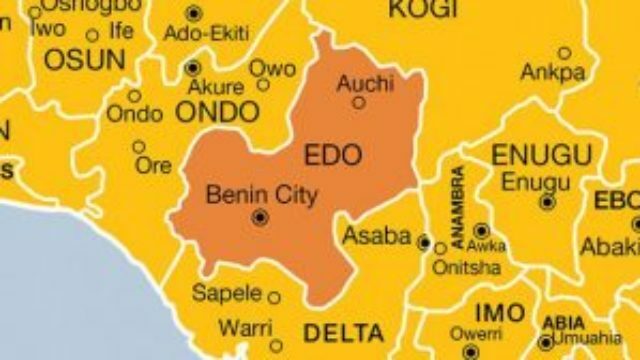 Tragedy struck yesterday in Benin City when a little boy, aged eight months was found dead inside a plastic water container in his father room after he was earlier declared missing. The incident occurred at house number 53, Obakhaye, in Oredo local government area of the state. The toddler identified as Abdulaziz Abubakar Aji was the second child of his mother. Sources told newsmen that the parents had before 6:00a.m. on Wednesday morning declared the boy missing, while a search team, which included family, friends and neighbours joined in the search for the boy. It was gathered that the father of the child, Abubakar Aji, later discovered the lifeless body of his son inside a plastic water container filled with water when he was about to take water from it. Investigation revealed that the man had earlier in the week (Monday) married a new wife. Unconfirmed reports according to some residents said the sudden disappearance of the baby and the discovery of his body in a water can, may not be unconnected to the step-mother. It was gathered that the new wife was the fourth wife the man will be marrying since moving into the house. The sources who suspected foul play noted that the mother of the late boy went to the toilet and on getting into her room found that her child was no longer in the room, which triggered the search for the little boy. They observed that the perpetrator of the act must have capitalized on the absence of the mother to dump him inside the water container and drowned him until his death. Attempts to speak with parents of the baby proved abortive as they declined comment, but the landlord of the house, Ali-Isu Abubakar, who described the incident as unfortunate, said the boy was his favourite child in the compound. Lamenting the sad incident, the landlord said he heard people crying before he could finish his early morning prayer, and when he came downstairs, he discovered one of the children in his compound died inside a water can. Father of the boy, mother and the second wife have since been arrested by men of the Aideyan police divisional headquarters.